Question: What is the Prophet's view about members working in a Casino? The prophet hasn't stated his personal view, to my knowledge -- though in truth it doesn't much matter. The only thing that matters on this point is the Lord's view, and that can only be known through prayer and earnst study. Saints who seek to live lives in harmony with the Spirit of God inevitably get anwers to prayers about how they should conduct those lives. 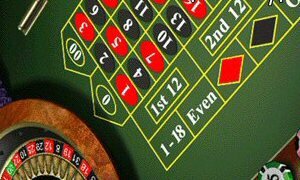 If you're considering (or counseling someone who's considering) a casino career, in light of the Church's consistent and long-standing position against gambling, it's wise to both pray for guidance and consult with the local bishop. May the Lord bless your efforts to live close to the Savior and His teachings.